To hear Mary Kadderly sing Christmas music is to believe, once again, that this season can be experienced freshly. Listen for yourself to the wonderful changes she rings on some old classics, and see if you don’t enter the season with a new appreciation for what artists add to our lives. Along with some of the region’s top jazz talent, Mary has created this elegant collection of songs that enhances the holiday spirit. Mary’s voice rides over the top with brilliance and energy as every word of the lyric gets special attention. 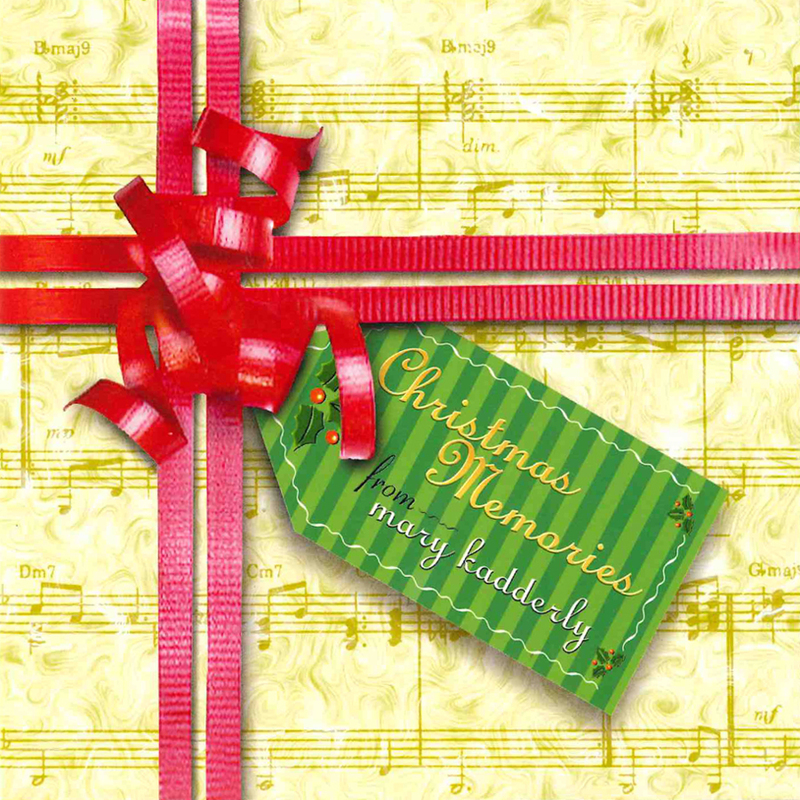 The title track, “Christmas Memories” is an original tune written by Mary for this CD. Seasonal music is difficult to make fresh, but she manages this superbly with dark colorings, ringing refrains, set off sweetly by Paul Mazzio’s fluegelhorn, Tim Ellis’ guitar. On “Silent Night”, Mary’s voice is set richly against Nancy King’s vocal tapestry, bringing new sounds to this very old favorite. These two friends’ vocal collaborations go way back, and the richness they bring to this piece makes it almost the centerpiece of this glorious album. “White Christmas” is propelled by Dan Balmer’s chiming guitar work, twinkling brightly around each of Mary’s phrases. When George Mitchell’s B-3 organ takes a chorus, you’d swear you were in the midst of a jazz improvisation – and it all focuses sharply on the drive and beat, giving an old chestnut a very new polish. This CD contains many more classics, each wonderfully arranged, produced, and performed to highlight the talents of the fine artists that perform on this work. It is the perfect mix of ballads, swing, pop, and up-tempo jazz that brings life to these classics while respecting the original intent of the composers. It is a mix of holiday music that is sure to be played for many years to come. Go ahead, play it again – everyone’s listening.